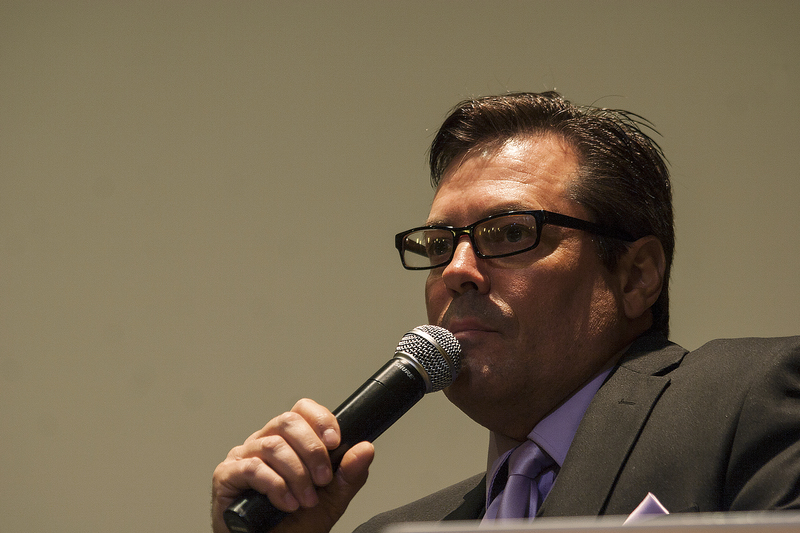 Founder/Owner Jeff Rector during Q&A at the Burbank International Film Festival, April 25, 2015, Burbank, CA. 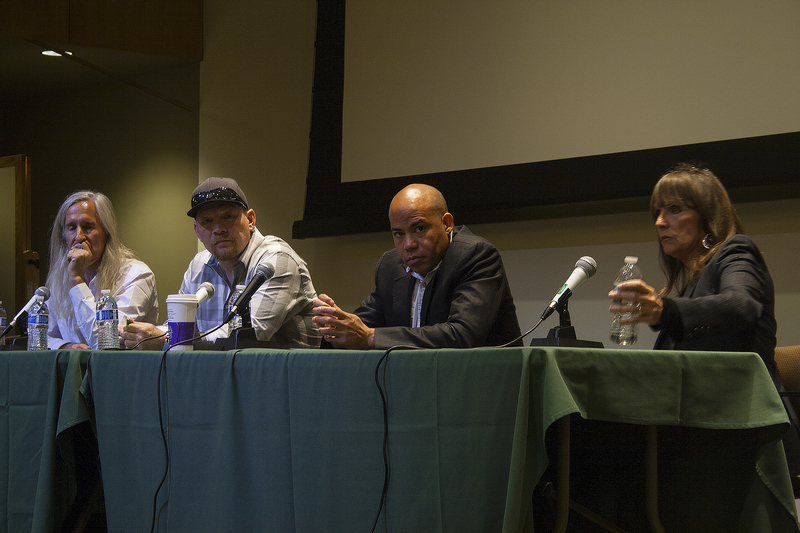 The Burbank International Film Festival held their free seminar for the general public April 25, 2015, at Woodbury College, from 10am-4pm. 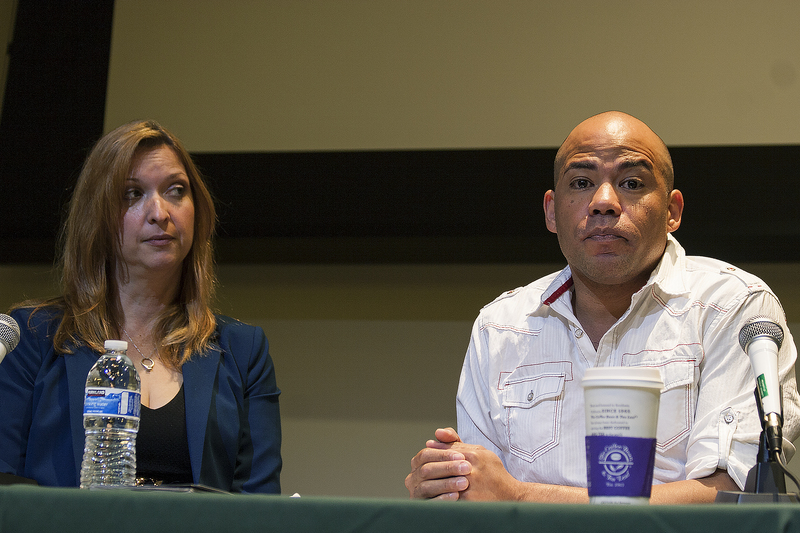 This festival was also organized and founded by Jeff Rector, who also provided Q&A and discussion throughout the day. Jeff Rector’s work can also been seen in Wall Street, Revamped, and many more. Many entertainment and casting companies came down to share their knowledge about the industry and effective tools that will help further talents along. During the morning opener started off with a discussion and Q&A about acting in the industry. Morning Panelist Phil Brock – Theatrical Agent and Manager (Studio Talent Group), Kathryn Boole – Literary Agent (STG Literary), Monique Strong (Power Talent Agency) and Karim Muhammad (Polygon Talent) presented actors with many aspects of getting the right agent to represent them and other resourceful information. All morning panelist delivered detailed information about professionalism aspects, headshot criteria, auditions, and so forth. Gerrald “G” Webb (“Z Nation” on SYFY, “Sharknado I,II, & III”), during Q&A at the Burbank International Film Festival, April 25, 2015, Burbank, CA. At 11:30 am Gerrald “G” Webb (“Z Nation” on SYFY, “Sharknado I,II, & III”), talked about resourceful tools to better actors in the industry, effective audition tactics, proper headshot examples, and professionalism aspect. Mr. Webb expressed that talent must learn effective techniques in order to land them parts in film and bad methods must be done away with. Significantly, new acting talent tend to forget the etiquette of removing the over friendly attitude when coming to auditions. When auditioning, the focus as Mr. Webb states it is about “being prepared, leaving personal baggage at home, and stop trying to strike up a long conversation with casting and directors.” Proper auditioning tactics must be followed and being prepared gets actors higher rewards, than an unprepared one. Surely, this is an aspect people should take in consideration in any career field. Panelists: Writer/Director/Producer Mick Garris (“The Stand”, “The Shining”, “Masters of Horror”), Director/Producer Christopher Ray (Asylum Films), Writer/Producer Gerald Webb, Linda Nelson (Indie Rights Distribution) during Q&A at the Burbank International Film Festival, April 25, 2015, Burbank, CA. During the 1:00pm discussion, award-winning writers, directors, producers, and distribution experts gave insightful information on how to make movies with limited budget and information about film distributions. Panelists included Writer/Director/Producer Mick Garris (“The Stand”, “The Shining”, “Masters of Horror”), Director/Producer Christopher Ray (Asylum Films), Writer/Producer Gerald Webb, Director/Film Distributor Linda Nelson (Indie Rights Movies). Many of the panel talked about the aspects of filming cost, filmmaking, marketing, and distribution. Considering that making a film is not only about creating an idea, but one has to keep in mind about a well written script, talented filming structure, marketing and distribution. Within it all, filmmakers must do their homework while moving their film concept to the forefront. during Q&A at the Burbank International Film Festival, April 25, 2015, Burbank, CA. At the 2:30pm discussion, Screenwriter/Director Shane Black (“Iron Man 3″, (“The Long Kiss Goodnight” and “Kiss Kiss, Bang Bang”) and Actor/Director & Storyboard Artist J.Todd Anderson (“The Nice Guys” and many others) talked about their journey working in the movie industry perspectives, and vision. Actor/Writer Steve Wilder moderated Q&A during the screenwriting segment. Screenwriter/Director Shane Black talked about writing, directing, and topics about working with friends in the industry and it’s disadvantages. Actor/Director & Storyboard Artist J.Todd Anderson shared his experience and advice towards benefits and advantages to utilize while moving ahead in the industry. 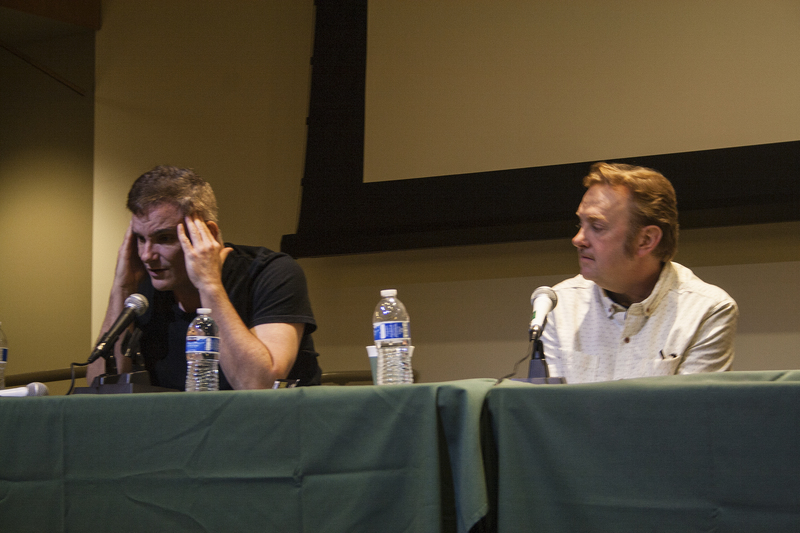 The Burbank International Film Festival brought many benefits through all discussion topics, but also allowing the audience to ask questions with panelist. Furthermore, the festival was available for free to general public to utilize. The festival surely delivered true educational tools for any acting professional, filmmaker, storyboard artist, and so forth. This festival was certainly worth not missing and an educational eye-opener! This entry was posted on April 27, 2015 by bourgeoismagazinela in Bourgeois Magazine LA, Entertainment, Film, News, Television.